In this week’s inaugural “Heavy Lies the Crown” feature, BJPENN.com’s Chris Taylor takes a look at the dangerous challenges awaiting current UFC bantamweight king T.J. Dillashaw. Having finally rid himself of former teammate turned bitter rival Cody Garbrandt, “Killashaw” has recently turned his focus to current UFC flyweight champion Henry Cejudo. If you recall, Cejudo had called for the winner of UFC 227’s Garbrandt vs. Dillashaw 2 fight immediately following his upset victory over Demetrious Johnson on August 4. T.J. Dillashaw went on to defeat “No Love” via first-round TKO that night, marking his second finish of Cody Garbrant in the last ten months. 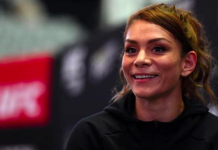 While “TJ” may have his sights set on a super-fight showdown with the promotions current flyweight champion, there is still no shortage of dangerous potential challengers in Dillashaw’s bantamweight future. 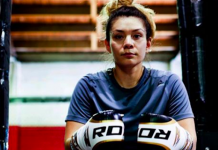 Here are four 135-pound fighters who should be on T.J. Dillashaw’s radar. Perennial bantamweight contender Raphael Assunção (27-5 MMA) is currently riding a four-fight win streak, his latest being a decision victory over Rob Font at July’s UFC 226 event in Las Vegas. The Brazilian already has a long history with T.J. Dillashaw, having competed against the current bantamweight kingpin on two occasions during his UFC career. Raphael Assunção and T.J Dillashaw first met at UFC Fight Night 29 in October of 2013, with the Brazilian emerging victorious by way of split-decision. Less than three years later the pair would meet again, this time in Las Vegas for the promotions historic UFC 200 event. After a second closely contested battle, T.J. Dillashaw was awarded a unanimous decision victory over Raphael Assunção from the judges in attendance. Raphael may still need to pick up one more win in order to secure his long-awaited shot. 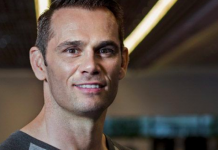 But it is clear that the 36-year-old is focused on booking himself a trilogy bout with “TJ” in the near future. Many people believe that former World Series of Fighting bantamweight champion Marlon Moraes (21-5-1 MMA) poses the biggest threat to current UFC 135-pound king T.J. Dillashaw. 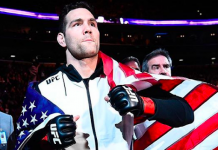 “Magic” is coming off back-to-back sensational first-round knockout victories, destroying Jimmie Rivera and Aljamain Sterling in those contests. Moraes has gone 16-1 over his past seventeen fights, including a 3-1 record during his time with the UFC. The 30-year-olds lone loss in that time came to the aforementioned Raphael Assunção, whom he lost to via a controversial split-decision. 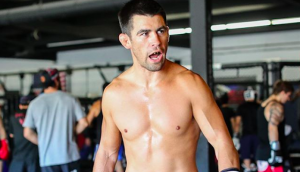 Former WEC and UFC bantamweight champion Dominick Cruz has already defeated T.J. Dillashaw. “The Dominator” and “Killashaw” first met in the headliner of UFC Fight Night 81 in January of 2016, with Cruz emerging victorious via split-decision. Dominick would go on to defend his newly obtained title against Urijah Faber at UFC 199, this before surrendering the belt to Cody Garbrandt in his most recent performance at UFC 207. Despite having lost his most fight, Cruz has been nothing short of amazing over the past ten years, compiling a record of 13-1 during that span. 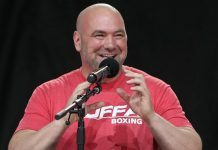 A rematch with T.J. Dillashaw also has promotional upside, as it is no secret to fight fans that “The Dominator” and “Killashaw” do not like each other. Last, but certainly not least, is current UFC Flyweight Champion and former Olympic Gold medalist Henry Cejudo (13-2 MMA). “The Messenger” is coming off the biggest win of his mixed martial arts career, having dethroned long time flyweight kingpin Demetrious Johnson in his most recent performance at UFC 227. 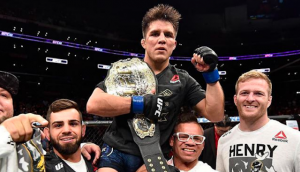 Following his shocking upset victory over “Mighty Mouse”, Cejudo proceeded to call for a scrap with the winner of that same night’s Cody Garbrandt vs. T.J. Dillashaw bantamweight title fight. 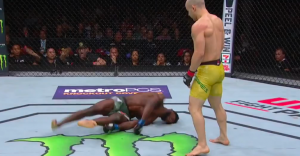 After “Killashaw” defeated “No Love” for a second time that night in Los Angeles, he accepted Cejudo’s challenge during his post-fight interview with Joe Rogan. With Demetrious Johnson now a member of ONE Championship, the time might be right for the recently crowned flyweight champion, Cejudo, to move up and challenge T.J. Dillashaw. 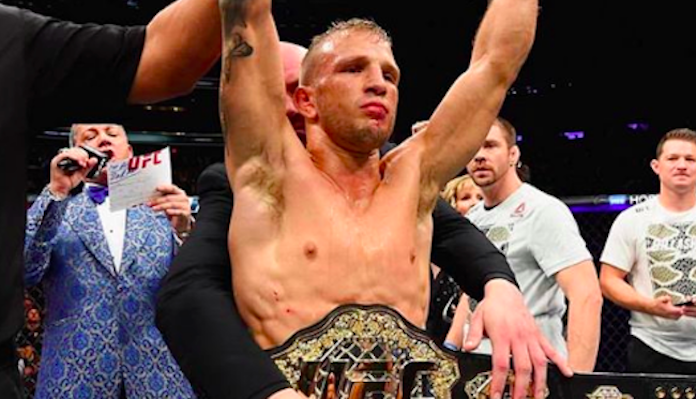 Who would you like to see current UFC bantamweight champion T.J. Dillashaw fight next?